Some us are pack rats. Some of us aren’t. Those who belong in the latter group have a habit of doing a spontaneous spring cleaning session, which involves dumping items that are no longer in use. More often than not, we leave these unwanted objects in boxes outside elevators in HDB blocks, creating a filthy and messy space. This proves two things: we have immerse ourselves in the unhealthy throwaway culture and it has become problematic. It’s not a question of whether we can afford it — it’s a matter of environmental and ethical concerns. Fronted by Yusri Sapari, Repair Kopitiam aims to put an end to the throwaway culture, and build a more sustainable future in Singapore. The local initiative follows in the footsteps of Repair Cafés of Europe; it organises free community events, where people repair broken items together. 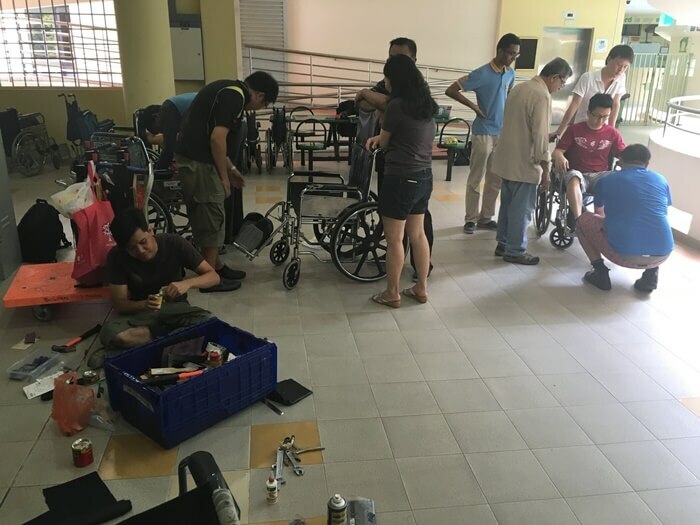 Powered by Sustainable Living Lab with the support of South-West Community Development Council, and the National Environment Agency, these meet-ups typically take place at void decks and community centres. 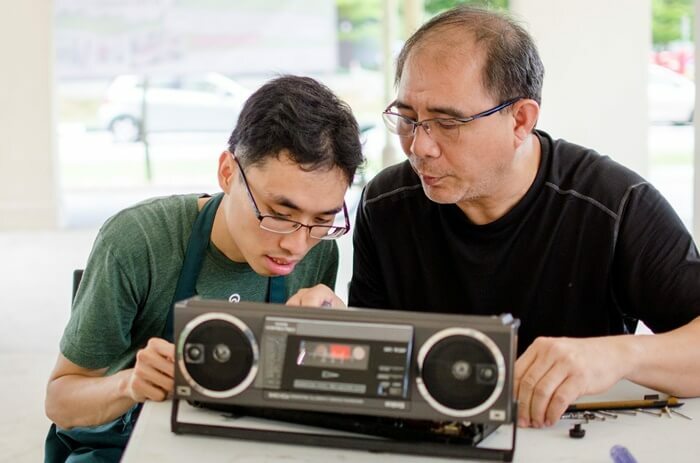 From household objects to electrical appliances, participants are guided by the repair coaches to assess the item, fix it, and acquire new skills. At the end of the day, the initiative hopes that participants will find the merit in these items and learn the importance of discipline and patience. Having gone through training before each session, the repair coaches have ample experience to fix these broken items. Take 27-year-old Yusri, for instance. 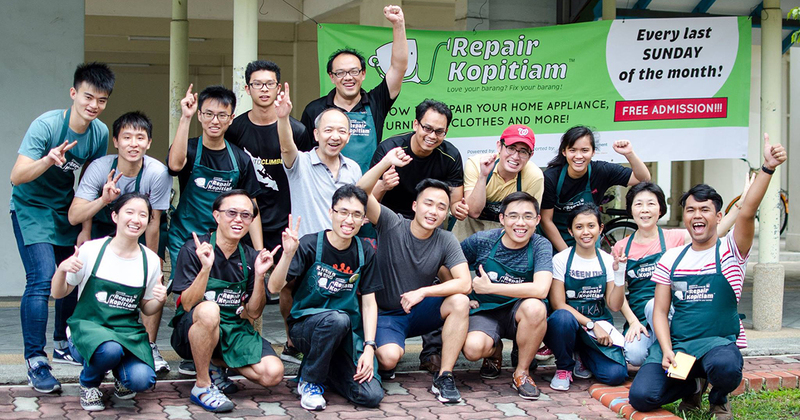 The community manager of Repair Kopitiam learned to repair his things when he was only a kid. Fabric repair coach, Agatha Lee, is an eco-designer and previously worked as a policy maker at the National Environmental Agency for over 10 years. However, the initiative stresses that it’s possible that the repair sessions may not work out in the end; the lack of certain tools or spare parts could potentially hinder the process. Repair Kopitiam is divided into four departments: electrical appliances, fabric repair, home improvement, and responsible dismantling. For items that are beyond repair, the initiative still strongly encourages participants to bring it down to the event, as some of the parts could be useful and given a second life. Marie Kondo, who? I’ll take Repair Kopitiam over her any day.